Take a look back at Regina King's journey from teen TV star to veteran actress and Oscar frontrunner. If Beale Street Could Talk, it would shout words of praise for Best Supporting Actress nominee Regina King. After decades showing she can play any part you throw at her, the veteran actress is nominated for her first Oscar. Since her time as a teenage TV star on 227 in the late '80s, King said her family pushed her to dream beyond the sky. She told ABC News that her supportive mother taught her that "You're as small as your thoughts." "When you have that as your foundation, you kind of navigate through things naturally, not thinking that you can fail," King said. "You hear that saying, 'Failure is not an option.' I think it was, in my experience, that failure was just never a discussion." 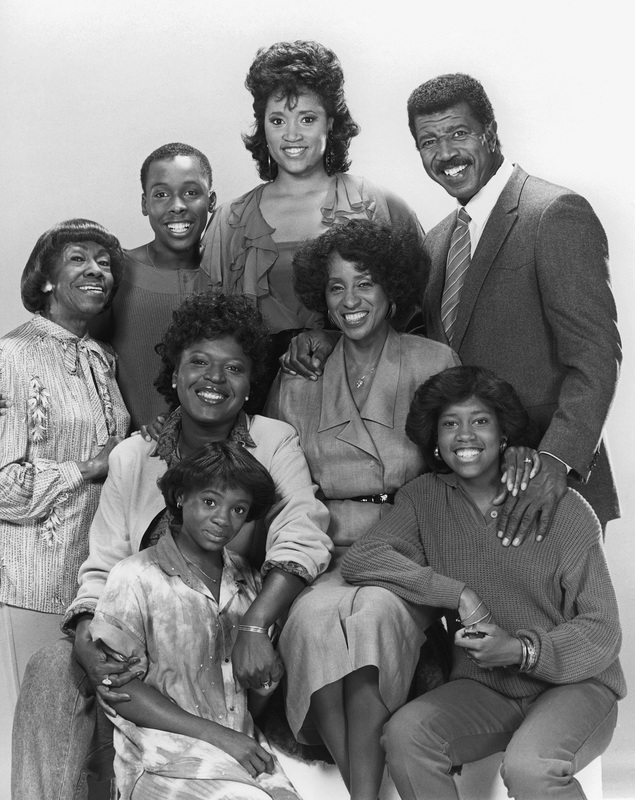 The '227' cast: Kia Goodwin, Regina King as Brenda Jenkins (second row, seated), Alaina Reed Hall, Marla Gibbs, Helen Martin, Curtis Baldwin, Jackée Harry and Hal Williams. After the show, the young adult struggled to find the right roles. Producers just wanted to see her as her first role, she said. She finally scored a spot in Boyz N The Hood. "So different from Brenda on 227," King reflected, joking of the language in the R-rated film, "Imagine the ladies at my grandmother's church: 'What happened? Regina's mouth!'" Jokes aside, King said she was grateful for the film because it showed she was more than just one character. "The reason why it was so fantastic was because it was 180 degrees (from Brenda), and I think that was the first moment of breaking through or getting over a hurdle," she said. "And then from there, it seemed like I would get a lot of auditions for playing a girl in the hood." Despite Hollywood's expectations, King fought to keep herself from being put in a box by taking roles in everything from comedies to dramas to action films. Her other notable early roles included Friday, Jerry Maguire and Enemy of the State. King is also a familiar face to fans of 2000s chick flicks, having appeared in Cinderella Story, Legally Blonde 2: Red, White & Blonde and Miss Congeniality 2: Armed & Fabulous. She said that getting to be in such diverse projects is her favorite part of her career. "That's the beauty of being given the gift of acting as your art. You can be play anything," she said. By the mid-2000s, King's big dreams were already paying off. She was cast as one of Ray Charles' lovers, Margie Hendricks, in the Ray Charles biopic Ray. She won an Image Award for that film, and she and her co-stars won the top prize of Outstanding Performance by a Cast in a Motion Picture at the Screen Actors Guild. As her prestige grew, King broke into yet another cateogry: directing. Her directing gigs include Scandal, The Good Doctor and This Is Us. In recent years, King has gravitated toward captivating but diverse characters who have increasingly earned her recognition, including three Primetime Emmys. The first two were for playing two different characters in two different seasons of the ABC anthology series American Crime. The most recent one was last fall for the TV miniseries Seven Seconds, a project which King has said is close to her heart, like Beale Street. Seven Seconds and If Beale Street Could Talk taken together could make for King's biggest year yet. "I feel like one influences the other," King told ABC. "It's just been great receiving kudos for two projects that were really dear." In If Beale Street Could Talk, King worked with director Barry Jenkins to create the singular pillar of strength that is her character. Sharon Rivers is the supportive mother of the main character, Tish, a pregnant 19-year-old who is fighting to prove her fiancee has been wrongfully incarcerated. Though King read James Baldwin's novel to research the character, she also interwove the essence of her grandmother. "My grandmother, she was that woman that made you feel like it was always going to be OK," King told ABC News. "If she laid any bit of her wisdom on the situation, you felt comforted." King says she hopes her career stands as a shining example for aspiring actresses who also dream big. "At the end of the day that's really what we're supposed to do," she said, "be a beacon, be a lighthouse out there for those to come."